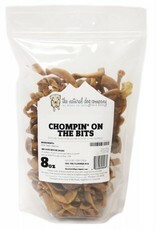 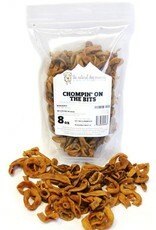 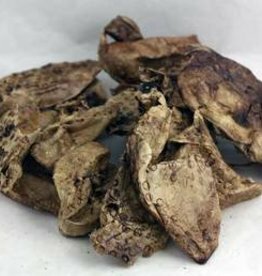 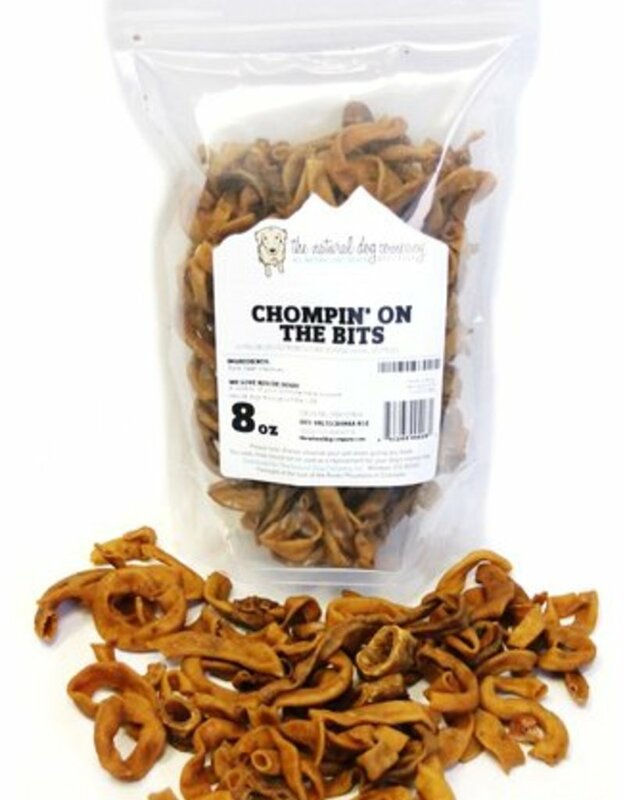 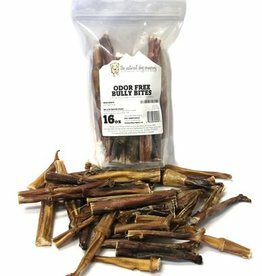 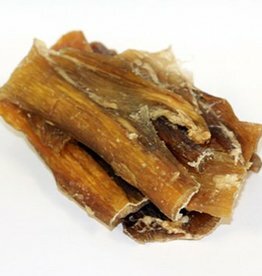 Made from 100% South American beef intestine (same ingredient as sausage casing), these Chompin' on the Bits treats are a great price point as well as a crunchy, palatable treat that your dogs will love! 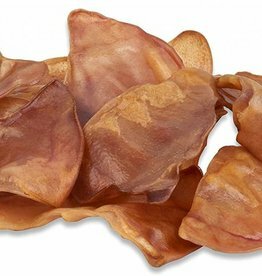 The texture is similar to a wonton chip. 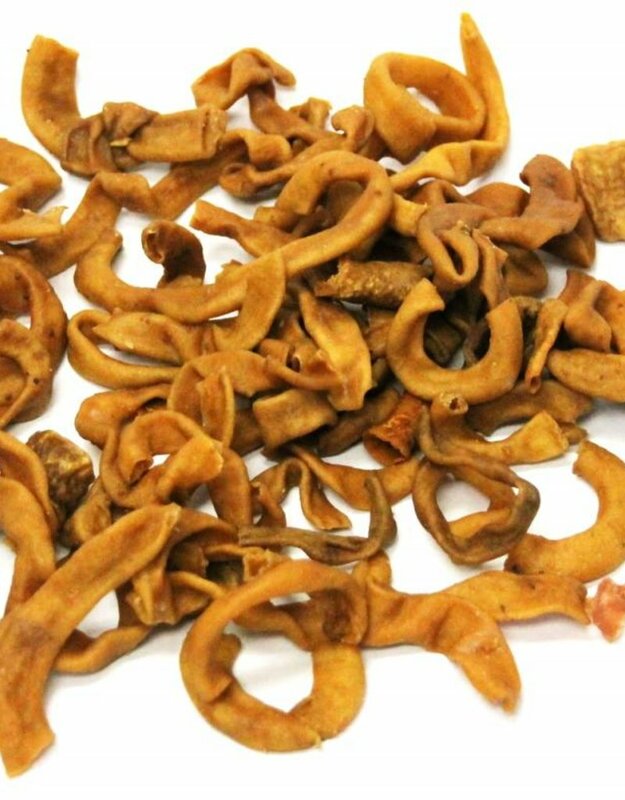 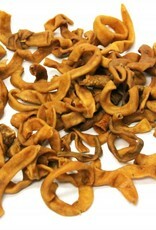 Beef intestine is known to be high protein, low fat source of vitamins/minerals such as zinc, iron, and B12. 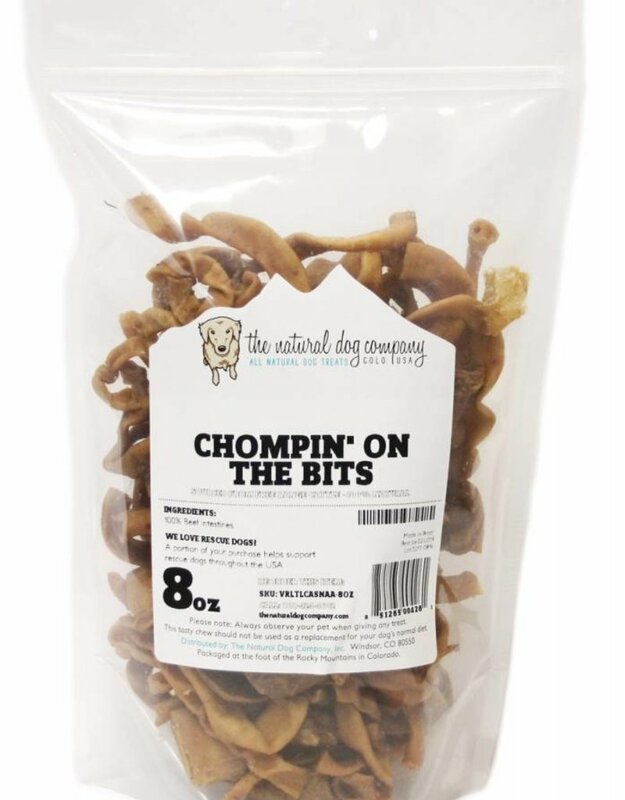 For both a treat and learning experience, place a few in a treat-dispensing toy like a Kong, Busy Buddy Squirrel Dude or something similar!